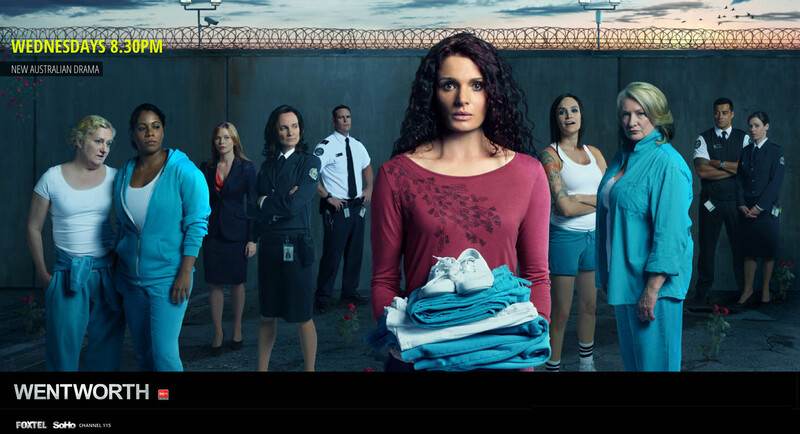 Wentworth has been a very exciting series to compose for . It is gritty and uncompromising . It’s a raising of the bar for Autralian TV. Seasons 1 , 2 ,3 and 4 have aired . Season 5 is currently in production . For this TV series I experimented with sampling old electric fans , slowing them down to give you the claustrophobic impression of blood rushing through your ears . I occasionally suffer from anxiety attacks so i know the feeling . 4. A rare gentle theme from season 1. 5. Bea and Alley passion. Wow Newfoundland , that sounds exotic and remote , it never ceases to amaze me how I can be heard so far away . I’m not sure when WW will be released over there but you are spoilt for choice of good quality tv these days , you’ll just have to wait . Hello! been devouring episodes of Wentworth season by season in record time but I am currently stuck in season -6 episode 5 – bitter pill becquse I am trying (unsuccessfully) to find the song at the end of this episode. Would you kindly refer me to it please? Dying to listen to it, makes me feel at home, dont know how else ot explain it! Hello Richard, I was wondering if there is a soundtrack including season 5 songs in it that’s been released yet. If not, is there anywhere could I look to stay updated? Hi Cameron , sorry no there isn’t a soundtrack including work from 4,5,6 and 7 but there is one on the way .